Dental bonding is a procedure that uses a composite bonding resin to fill gaps, repair chips and minor fractures, and cover discolorations in a patient’s teeth. The resin is applied to the tooth, expertly shaped by Lowell cosmetic dentist Dr. Szarek, and then hardened with the use of a special curing light.Once it is set, the resin gives the bonded teeth a uniform, natural appearance. In the photo on the left, above, the teeth have an overall yellow cast and there are noticeable blotches and spots in the tooth enamel. In the photo on the right, see how Dr. Szarek has used dental bonding to whiten the teeth and remove the discolorations while still preserving a natural look. It is impossible to tell where the bonding work was done. Though many dentists offer dental bonding, it’s important to choose an expert cosmetic dentist with the appropriate experience and training. Resins of different shades must be carefully mixed to ensure a natural appearance. It’s important that the bonded tooth match the surrounding teeth not only in color, but also in gloss and translucency. Natural teeth are not opaque and solid white from the gumline to the bottom and bonded teeth should not be, either. The ability to artistically shape the bonding material is important, as well. You should not be able to tell where the bonding material and natural enamel meet and neither should anyone else. 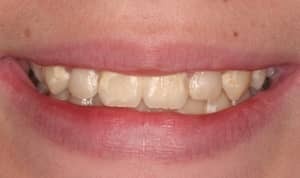 Dentists who lack advanced training in bonding techniques may craft a result that is too white, too square and too uniform in color. The result can be a look that is not natural-looking or aesthetically pleasing. 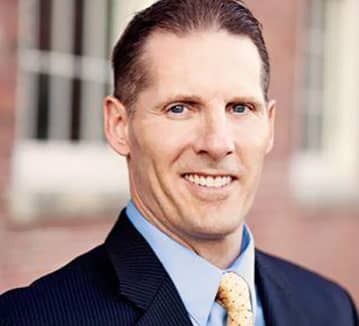 Dr. Szarek has both advanced training and years of experience in the use of composite bonding resin and bonding techniques. 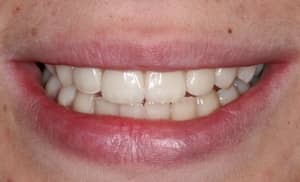 View the pictures below and the before-and-after images in our smile gallery to see what we mean. And he offers a beautiful smile guarantee. Request an appointment online or call us at 978-454-9332 to schedule an appointment.